We’ve Got Something To Shout About!! 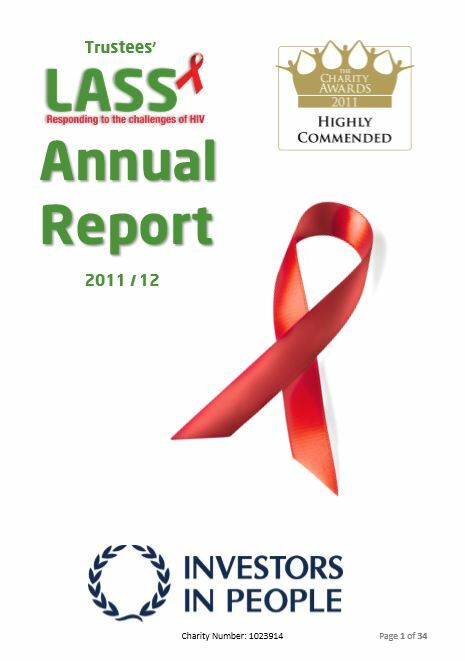 The trustees of LASS are pleased to present their report together with the financial statements for Leicestershire AIDS Support Services for the year ending 31st March 2012. The Board and all of the team at LASS are particularly pleased that Archbishop Desmond Tutu has, this last year agreed to be our international patron. This is a particularly significant accolade given that the Archbishop is reducing his commitments in the light of his advancing years, yet he saw fit to honour LASS with his patronage. The board sees this as no small endorsement of the achievements of LASS over the years. Those who read our annual report will not need to have a reminder that the general economic environment in which LASS woks, remains very challenging indeed. There is no sign of that environment improving any time soon. For some years now LASS has had to work very hard to maintain its financial position. This work is vital in order that LASS can continue to meet the needs of those living with HIV across the City of Leicester, Leicestershire and Rutland. The CEO, Jenny Hand, and her team have worked very hard in recent years to maintain our income streams which enable LASS to continue to provide our services both direct and educational. The Chair and board are very grateful to Jenny and her team at LASS for their hard work. Furthermore, the Chair and the board would like to express our gratitude to our core funders, the many volunteers who work with LASS and the many other stake holders for their support over the last year. The year has been very much one of perpetual change and on-going improvement. Change has been internal and external, expected and unforeseen, some slower than expected and some quicker, some we have tried to challenge and influence and other change has influences far beyond the small charity of LASS or the world of HIV. We know that demographic shifts together with changes in funding, provision and access to health and social care mean that we need to deliver our services differently and during the year have taken on several new opportunities to test out and develop new ways of working. Our work has been strengthened through inter-team joint working weekly staff briefings as well as monthly meetings, university students on placement and volunteer mentors. We have been active in partnerships – working with other local VCS sexual health providers to influence the sexual health strategy, with Leicester Partnership Trust in bids for work in local prisons, with local community groups to extend services to their members, for example, the Zimbabwe Association, the Congolese Mutual Group, Sisters from Islam and the East Midlands African HIV Partnership, to mention just a few. Our HIV community testing has gone from strength to strength with a fantastic report on the impact of the testing training on up take of tests in the African communities. This work is strengthened by our relationship and funding through the African Health Policy Network (AHPN). We have welcomed many visitors during the year including the Health Minister from Gambia, our own local MP, Liz Kendall, the Lord Mayor, the City Mayor, Deputy Mayor, Chief Operating Officer, colleagues from HIV services across the East and West Midlands, and bishops from Tanzania. Our biggest achievements were to be highly commended in the National Charity Awards and gaining Investors in People status. For this and all our developments, we thank our service users, volunteers, trustees and staff. Without all their hard work and commitment, we wouldn’t be where we are today. Please click here for your copy of our Annual Report. LASS Secures Funding To Help Make The Big Society A Reality In The East Midlands. Posted on October 26, 2011 by Tom | Comments Off on LASS Secures Funding To Help Make The Big Society A Reality In The East Midlands. LASS has secured funding of £49,000 from the Skills Funding Agency as part of the new Adult and Community Learning Fund, to help people living with HIV to get back into training, volunteering and work through personal development and skills and confidence building. The Adult and Community Learning Fund, from the Skills Funding Agency and managed by NIACE, will contribute to the Government’s aspirations for Informal Adult and Community Learning. The fund will help build the Big Society through learning to support independence, personal development, mental/physical health and well-being, digital inclusion, democratic engagement, social cohesion and stronger families and communities. The BOLD (Better Off Learning Directly) project at LASS will work with 32 people in the city, county and other regional centres. It will provide intensive eight week courses to help people build skills and confidence, as well as knowledge, to help them re-engage in education and work. Skills in managing their HIV status will also be a key part of the programme. After the eight weeks participants will also have the option to go on to further training as mentors, ‘expert patients’ (people who have enhanced knowledge as to how to manage their long term condition) and even to train as trainers of expert patients. Comments Off on LASS Secures Funding To Help Make The Big Society A Reality In The East Midlands. Syed Rahman, who runs the Cuisine Of India restaurant is hoping to raise £100,000 for local charity by hosting Curry Nights. In the last three years he’s managed to raise a whopping £20,000 for charities such as Save The Children, Derbyshire Leicestershire and Rutland Air Ambulance, The Laura Centre, Loros and many more. Last year, LASS enjoyed a social evening of delicious food with friends and raised around £500 which assist our causes, namely, Foodbank, The David Manley Fund and Winnie’s Fund for Children. 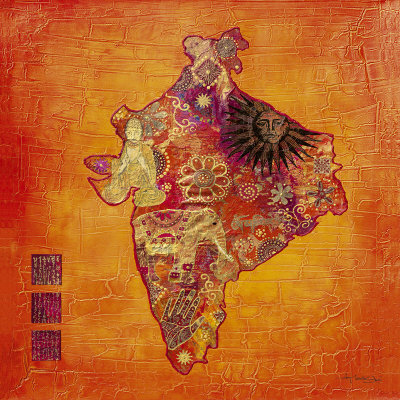 The money is raised by special events held at Cuisine of India where groups of people pay £16 each for a meal and half the money from each night is donated charity. Other benefactors include the Motor Neurone Disease Association and thousands of pounds have gone to Children with Cancer, Rainbow’s Children’s Hospice and Breast Cancer Care. This year, we’re delighted to invite you again to another Curry Night held at the restaurant located at Kelmarsh Avenue, Wigston and if you would like to join us, please call on 0116 2559995 for tickets. We know from experience that tickets sell quickly, so please book early to avoid disappointment. Full menu and testimonials are available at Cuisine Of India’s website. We hope to see you there – 7:30pm on Monday, 21st November. Please note, spaces at the AGM are now fully booked. We are not open for new delegates. Members and individuals who have pre-booked will be given given priority, otherwise seats will be given on a first come, first served basis. Our Annual Report will be released on-line for download following the meeting. Excellent coaching and mentoring across the organisation. These are just three of the positive statements used to describe Leicestershire AIDS Support Services by Investors in People after our recent assessment. We are proud to announce that we are now officially recognised as an investor in people organisation. 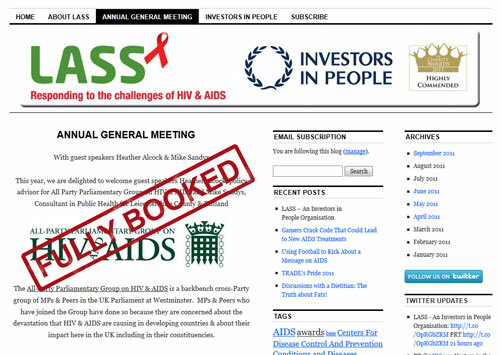 Three years ago, LASS underwent a diagnostic review against the Investors in People Standard. The findings have been used to help shape a series of changes in support of a strategic review, implemented by our Chief Executive Officer, Jenny Hand. The revised strategy has made a significant difference to LASS, both in direction and culturally. Work has been done to create robust performance measures and to improve communications. As a result there is clear understanding amongst staff and volunteers of the strategic direction of LASS and there is close co-operation and support between departments. Within the past three years, we have also set up Well For Living, a Social Enterprise in order to expand beyond our current boundaries and to generate income that is not dependent on Government or local authority funding streams. In order to achieve Investors in People accreditation, LASS was required to meet 39 mandatory evidence requirements which we did and three more in addition. We are committed to Investors in People because people are at the heart of everything that we do, our success depends on employees, volunteers, service users and members alike. We chose Investors in People because the framework for accreditation is focused on engagement with people, training and development, and communication. We are keen to maintain a high standard of work and ensure our employees and volunteers continually work toward professional development. Investors in People have national credibility and their revised standard really reflects the needs of a charity such as LASS. During the last three years the changes to the organisation have meant a significant investment in people development. Our strategy has laid down a clear direction and focus for us and, with the training and development, has enabled staff and volunteers to be confident in influencing how our services are delivered. For example In 2009 LASS successfully introduced a rapid HIV testing programme that can be administered confidentially on site at The Michael Wood Centre, or via our mobile testing which is taken out to communities. Many of our staff and volunteers are involved in helping people rebuild their lives once they have been diagnosed as HIV positive. This requires a great deal of positive thinking and encouragement and the same skills are utilised in supporting each other. Investment in staff and volunteer development has been a crucial factor in helping the organisation become so successful. We still have to resolve difficulties in getting to those `hard to reach` areas, but we are very creative and recently held a football tournament where we were able to provide rapid HIV tests to people who would not normally come forward for testing. Our volunteers have also created an advert promoting the value of knowing your HIV status and this informs the audience using 15 languages. It’s this work that got us nominated to the Charity Awards this year and a lasting “Highly Commended” status from them. We always look for opportunities to improve, and welcome ideas and feedback. Investors in People is an assessment to good standards and working practice. We believe we can continue to “punch above our weight” and we welcome the opportunity to do so, right now and in the future. We thank our many volunteers, service users and partner organisations who had a part to play in ensuring we continually improve and perform well.